Hike west over Launtz Ridge and enter a the beautiful valley of the South Fork of the Little Sur. 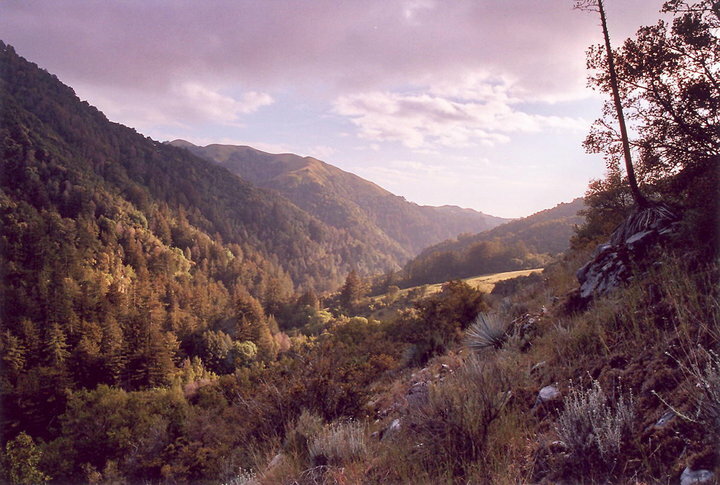 The river runs beneath old growth redwoosa while the trail passes through chaparral and porteros, grassy meadows. Mount Pico Blanco rises to the north and the Pacific sits to the west. Pico Public is a large campsite above the river that can accomidate several units in a large field and has an attractive waterfall and swimming hole. It is a hike great for a wide range of abilities. Awesome photo. Makes me want to be there even more than normal.